correctly, quickly, and at a reasonable cost. 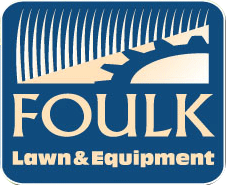 At Foulk Lawn & Equipment we pride ourselves on having the most knowledgable, dependable and dedicated staff around. Family owned and operated since 1954, we are committed to maintaining our status as the area's premier outdoor power equipment dealer. 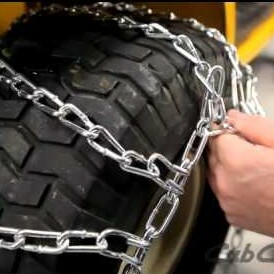 We are the authority when it comes to Chains, Weights, & Blades. 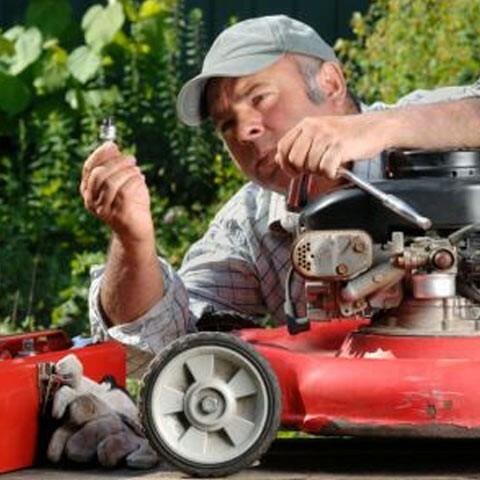 Are you tired of pushing that old walk-behind mower around your yard? Do you need a tractor that is incredibly maneuverable, easy to operate and capable of squeezing into your tightest spots? Do we have the tractor for you! 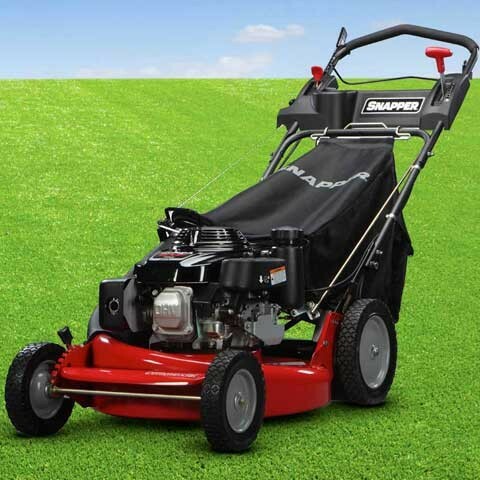 Foulk Lawn is proud to sell the Complete line of Snapper and Simplicity rear engine riders!! Unmatched quality for years of trusty service! 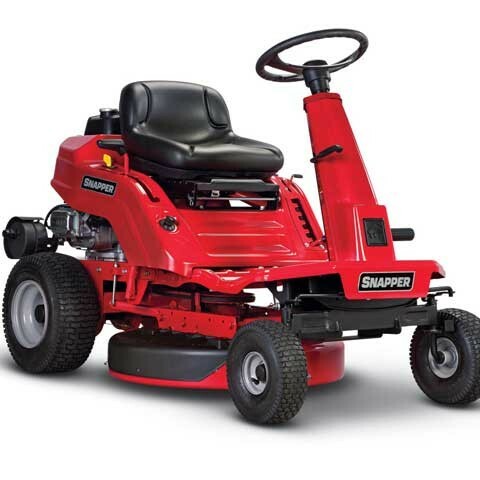 Snapper Walk Behind Mowers take practical, innovative features and integrate them into a straightforward design that’s easy-to-use and easy-to-own. It’s that simple. With unparallel maneuverability and increased ground speeds these tractors can reduce mowing time. Customers report decreasing their time in the seat by half. 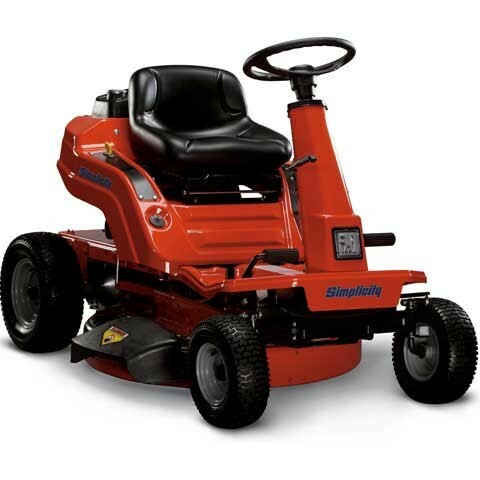 Designed to mow up to 3 acres on the residential side and day in day out use on the commercial side, these mowers can turn yard “work” into play time. With an uncompromising commitment to quality and a laundry list of industry innovations, the Simplicity line of residential and commercial Z-turns leave nothing to be desired. 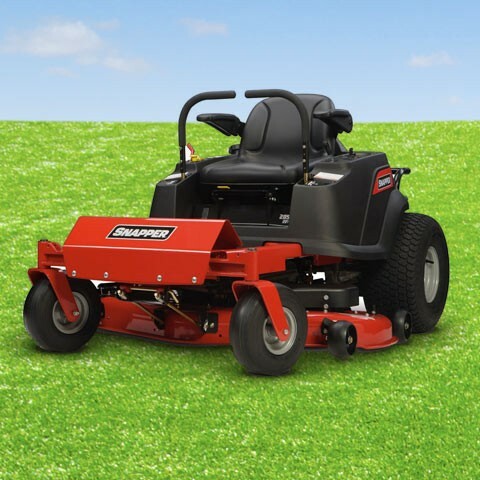 The line-up offers all the features you need to see in a Z-turn including powerful engines, chain-hung decks, isolated operators station, shock absorbers, and full width mower deck rollers for unparalleled mowing performance. Check out Simplicity’s zero turns, you will not be disappointed. With an uncompromising commitment to quality and a laundry list of industry innovations, the Snapper line of residential and commercial Z-turns leave nothing to be desired. 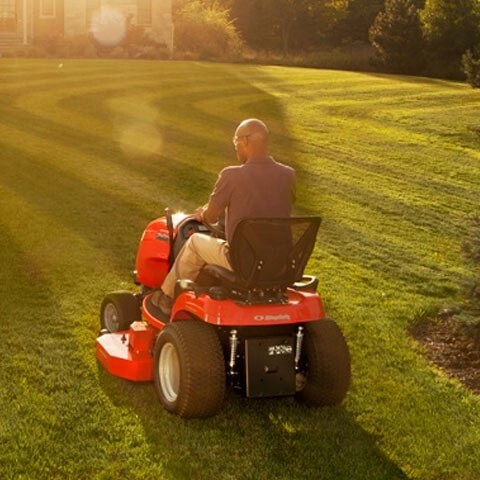 The line-up offers all the features you need to see in a Z-turn including powerful engines, chain-hung decks, isolated operators station, shock absorbers, and full width mower deck rollers for unparalleled mowing performance. Check out Snapper’s zero turns, you will not be disappointed. 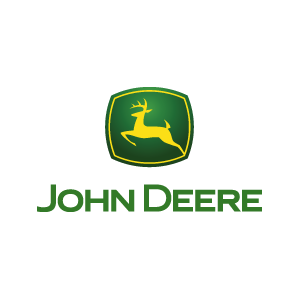 John Deere is the name in the outdoor power equipment industry that is synonymous with quality. 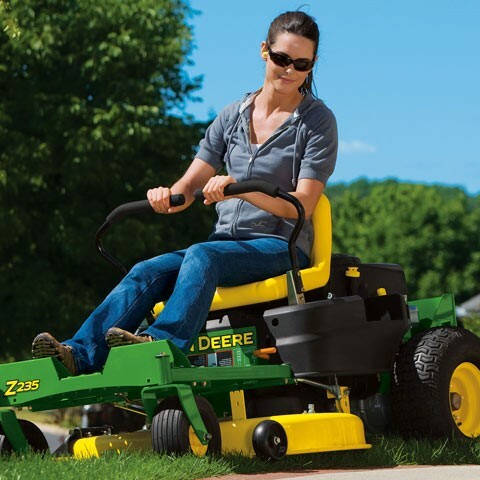 John Deere’s residential zero turns offer comfort, clean even cut, and powerful engines. They are easy to handle with convenient features. It’s “Edge Cutting System” lifts grass with the uniquely shaped 38” to 54” steel decks. Engines on these units start with 18.5hp Briggs & Stratton and move up to 25hp Kawasaki. So if you are ready to make the Zero-turn jump we have a nice soft yellow seat waiting for you to land on. The only complaint you’ll have is that you don’t get to spend as much time on your John Deere. How many times have you had to go through this scenario? You purchased product at large box store. Take it home, pull it out of the box, find the English directions and stumble to put the unit together. Once it’s all finally set-up there’s always that fun window of hope that it might actually start. Well what-do-ya-know it started. Now you are off and running. Uh oh, didn’t see that rock, or snap, there goes your drive belt. Now what? Back to the box store to get the right blade, chain, belt or battery. Only one small problem, the part’s department is little more than a scattered collection of picked over, unorganized pile of metal. Surely, this young man in an apron will be able to help get me up and running again. Oh brother, wrong again. Although well intentioned, he’s about as qualified to help you as your cat, so no luck there. So what do you do? May we suggest sticking with the pro’s at Foulk Lawn & Equipment. With over 100 years of out door power equipment experience, there isn’t too much out here that we haven’t seen before. Our parts department is thoroughly knowledgeable on all lines that we sell and carry. So that if you walk out the door with one of our products you can feel confident that if you should ever need any parts to keep you running great or save you from a breakdown, we have the knowledge and product to help you out. With over 3000 parts in stock, chances are we can get (and keep) you running on the spot. If we don’t happen to carry the part you need we can certainly order it. Even more unbelievable you’ll have access to on-line ordering which can actually ship the part straight to your house. So do not be fooled, there is a better way. Your equipment doesn’t do much good if no one can fix it. Let us help keep you going. 1: Treat everyone like you would want to be treated. 2: Charge an honest and fair price. 3: Provide world class service to our customers. Just about anyone can provide the first two, but what really distinguishes one dealer from the next is service. Believe it or not, a service relationship is built more on trust than anything else. If you the customer feels someone has cheated, or mishandled them the relationship dies. But if you feel confident that when your equipment is with us that it will be dutifully looked after and cared for then our relationship can last generations. 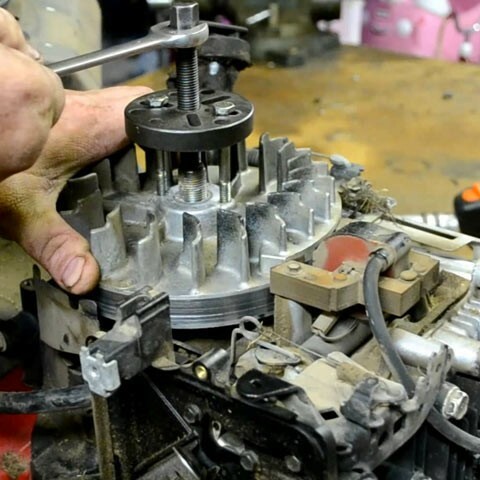 In a world and society that all too often addresses the symptoms of problems rather than curing the main issues, we strive to cultivate a Service Department that does much more than just change parts. Anyone can do that, but it takes a professional to make the next step and actually make the equipment whole again. So my pledge is the same as my Father’s and Grandfather’s, we promise to do our level best to fix your equipment correctly, in timely manner, and at a reasonable cost. As my Dad say’s, “Son don’t be afraid to charge for your services, but if you do, you make damn sure you’ve done a good job”. Authorized Service Dealer for Briggs & Stratton, Kohler, Kawasaki, John Deere, Simplicity, and Stihl. Let us assist you… Our dedicated sales department can help you find the perfect fit for your needs. Call or Email Phil if you have any questions on price or availability. 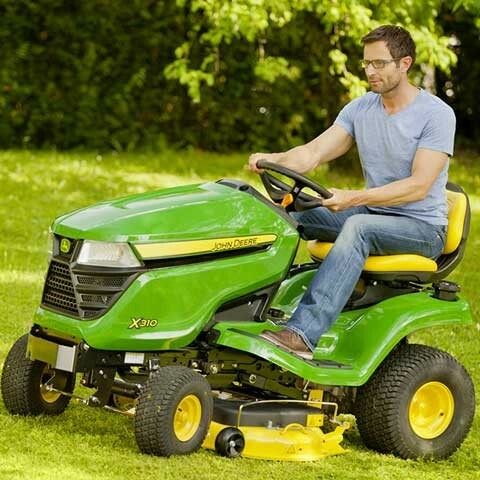 Premium Lawn Tractor / best value in tractor its size. A day’s work doesn’t have to take all day. 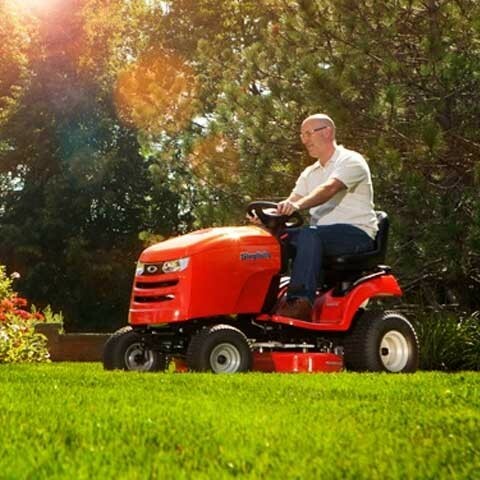 The Legacy XL™ combines the toughness of a compact tractor with the comfort and control of a garden tractor, giving you the power and reliability you need to get tough landscaping jobs done with one machine. Choose from three powerful engines, 2WD or 4WD, and a long list of tractor attachments available at your neighborhood Simplicity®dealer. The front quick-connected hydraulics and category 1 (modified), 3-point hitch make attaching attachments to the 540rpm PTO a snap. The exclusive Free Floating Mower Deck™ gives you the beautiful lawn you’ve come to expect from Simplicity® Mowers. 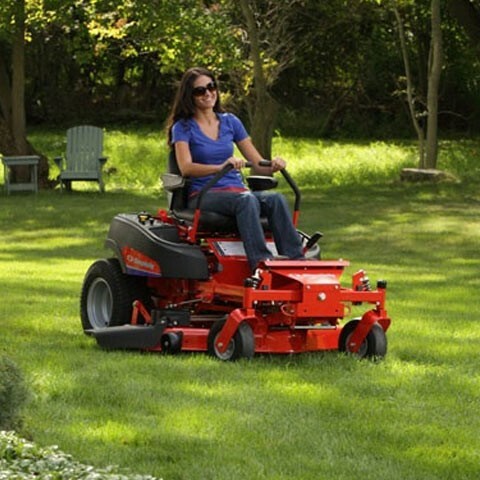 Let our innovative 4-wheel steering technology help you run circles around your yard work. What do you get when you combine unsurpassed quality with affordable pricing? …Answer…the Broadmoor Series from Simplicity. Designed to do much more than just mow grass, these units can mow up to 3 acres, plow that long driveway, or haul just about anything you can throw at it. The secret to the Broadmoor power lies in its Automotive Controlled Traction (ACT). This feature allows your Broadmoor to keep its traction where other similar tractors would simply fail. It provides constant forward push from BOTH rear tires instead of just one. What does all that mean? It mean’s that if you need to pull your load up an incline, or push that wall of snow a few feet further you can count on the Broadmoor to not let you down. Contact Us today to find out what options are available for your tractor’s make and model. 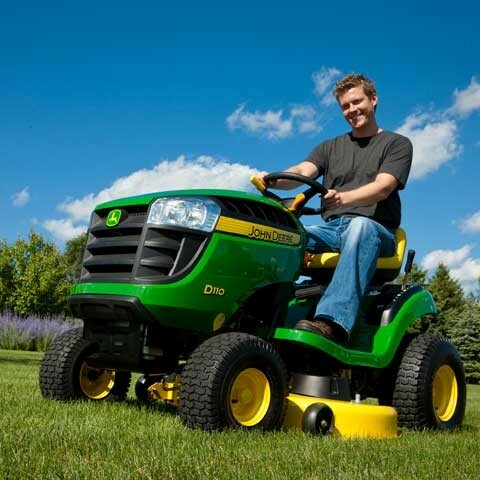 At Foulk Lawn & Equipment we sell the entire line of John Deere and Simplicity tractor accessories. We carry most baggers, mulchers and tow behind equipment in stock. What we do not stock, can easily be ordered and ready for you in no time at all. We also offer pick-up and delivery as well as installation and attachment of your accessories. Please call Phil if you have any questions about your tractor and its accessories. 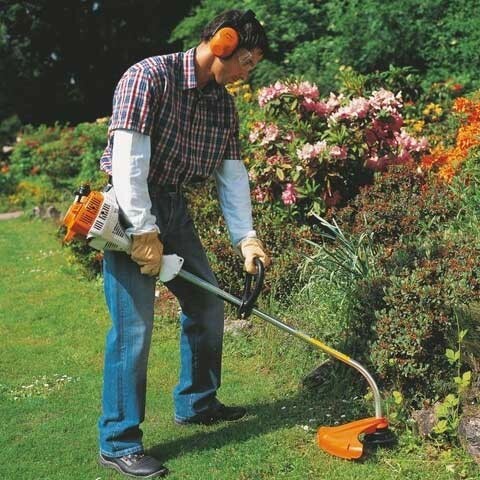 We at Foulk Lawn are VERY proud to offer the complete line of Stihl power equipment. And, we have committed ourselves to becoming the areas premier dealership by not only attaining the Elite dealer status but being recognized as a Gold Level Certified Service dealer. Every piece of equipment we sell is set-up, run and adjusted to help ensure easy starting and long life once you get it home. As another added convenience we also take care of all product warranty registration so you have even less to worry about. Not all dealerships are the same, stop in to check us out today. 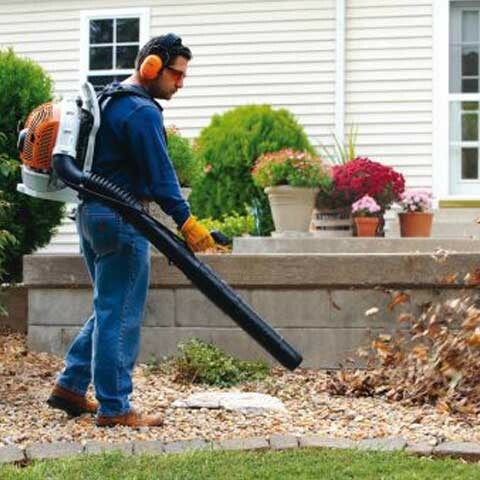 Whether you are a seasoned Landscaping Pro, a dyed-in-the wool back yard week end warrior or your just fed up with the less than stellar quality of the box stores products we believe that we have the right equipment for your needs. 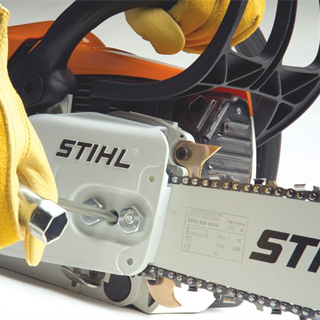 Dedicated to developing products to minimize environmental impact and consumption of natural resources Stihl offers low emission, fuel efficient gas tools, and a range of electrical plus a new line of Ion lithium battery options. 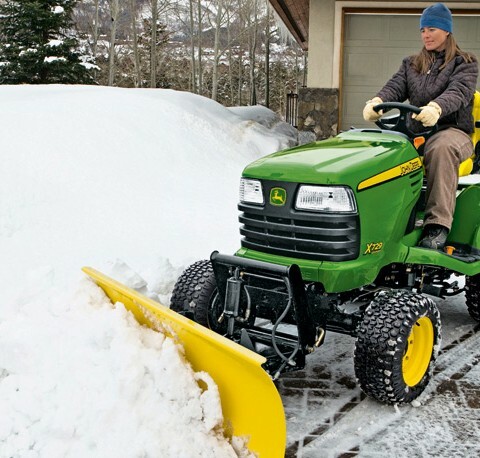 John Deere’s Premium Series offers the legendary quality that built the company. 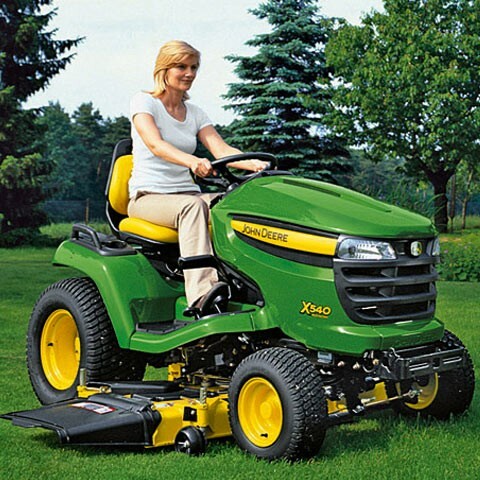 First in the line-up with Kawasaki engines is the rugged X300 Series, which is designed to mow 1-3 acres. This line offers premium craftsmanship at affordable prices. 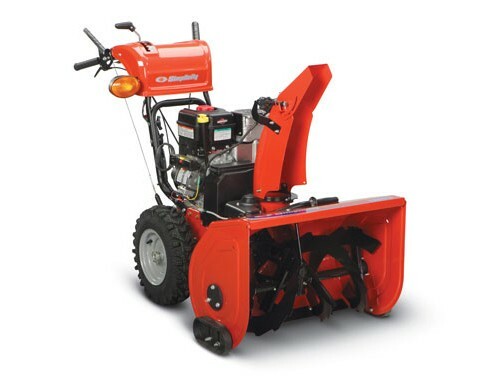 Mulch, bag or use the side discharge and experience the four wheel steering and easy to operate controls. The X300 Series is backed by a 4 year, 300 hour warranty and the comfort of knowing that if trouble should arise we are just a phone call away. So if superior quality, unparallel service and reasonable pricing sound good to you than this is a tractor you can’t afford to pass up. For Simplicity putting their name on an inferior tractor was “simply” not an option. From first glance you can see that the Regent is a superior line of tractors. 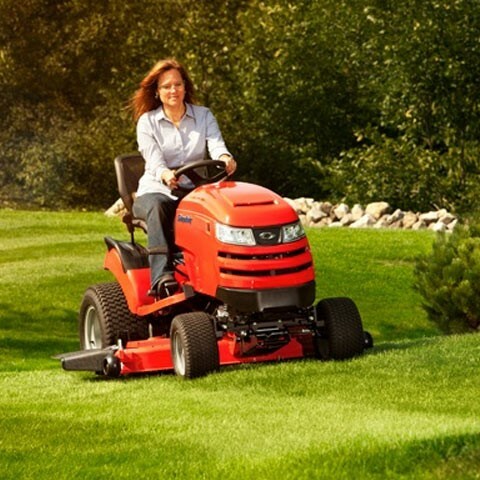 Powered by ever reliable Briggs and Stratton. 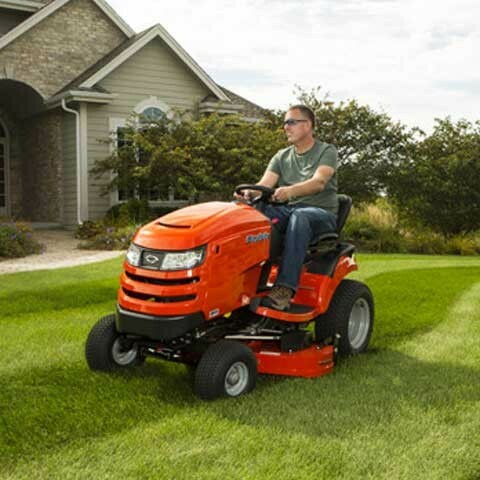 Built on solid one piece welded frames, and offering deck sizes from 38”– 52”, The Regent is designed to mow 3/4 acre up to 2 acres and to start for you year after year after year. So if you demand quality but could do with out a high price tag, then you need to check out the Regent. I promise that if you compare these tractors to the competition, you will be a customer for life. 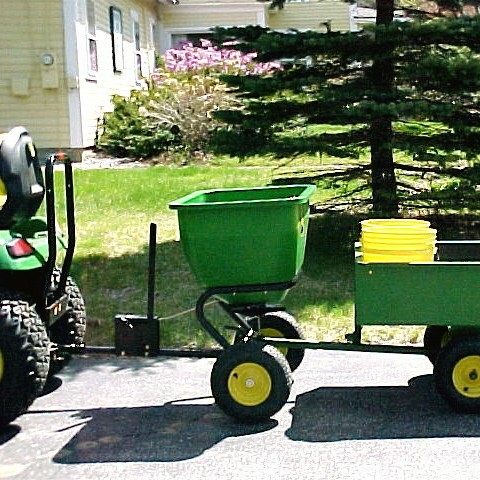 The D Series was built so that everybody could own a John Deere. It’s not that often that you get a chance to buy superior equipment at VERY reasonable prices. 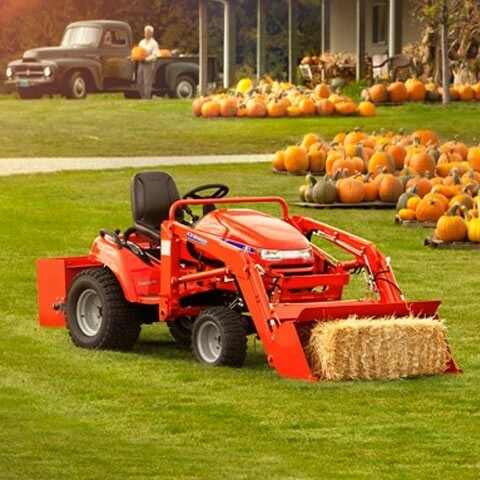 These tractors are designed to cut 1/2 to 2 acres with 19.5hp – 26.5hp Briggs & Stratton engines. 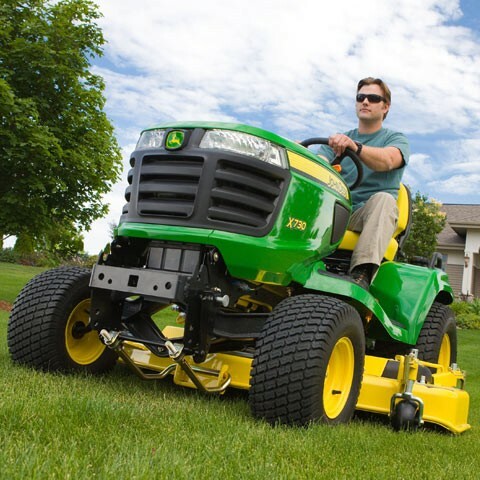 John Deere offers a 2 year 120 hour warranty and Foulk Lawn & Equipment provides excellent service. 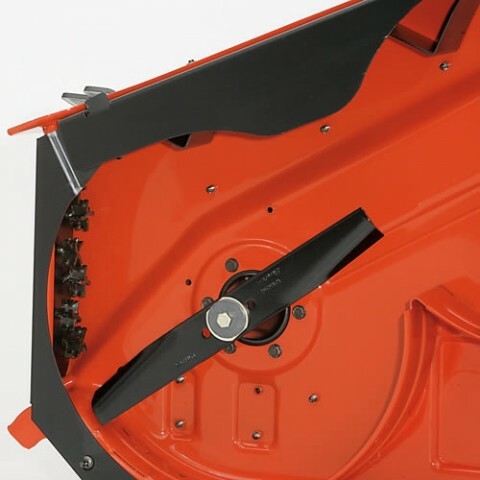 We are the authority when it comes to Baggers, Mulching Kits and Blades. Foulk Lawn & Equipment employees are instructed to treat everyone exactly how would want to be treated. Always charge the customer an honest and fair price, regardless of their knowledge base. One of our greatest goals is to provide world class service to our customers. Univ. of DE., Degree in Mechanical Engineering. Joe has over 50 years experience with outdoor power equipment, customer service and business management. Phil graduated from Mount Saint Mary’s College. He joined us full time in 1999. Phil specializes in equipment sales. He’ll take the time to get acquainted with both you and your needs. He’ll do his best to make sure you get the equipment that is right for you. O.P.E. certified and has achieved Master Service Technician status. 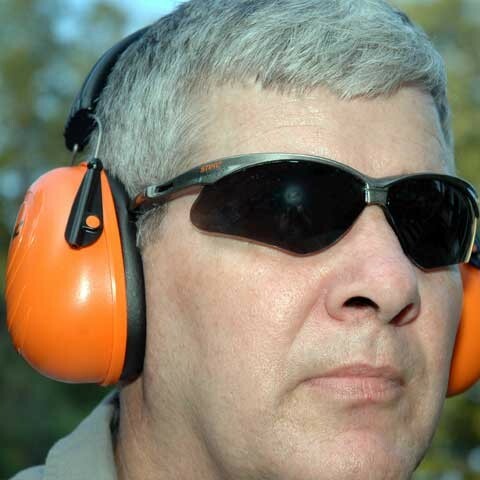 He is a Stihl factory trained Gold certified technician and has been with us for over 29 years. Brian has been with Foulk Lawn & Equipment for 9 years. He is OPE certified and has a two year Applied Technology degree. He is a qualified mechanic and attends yearly update schools for recertification. Demetrius is one of our mechanics. Demetrius came to us with 13 years experience. He also has background in hand held equipment. Nate graduated from Wyotech Institute with a degree in Automotive Technology and a Associates Degree in Business Management. You will see Nate picking up and dropping off your equipment. Nate will also show you how to run and operate you new equipment. Nate also spends time in the shop working on equipment. Graduated from the Univ. of DE with a Business Administration Finance Concentration degree and has carried on the family tradition managing the office for 20 years. Michelle is the newest voice answering the phones as of September 2011. She has Business and Pharmacutical experience. She has a certificate in Information Systems and Services. Stay up-to-date on all the Foulk Updates!